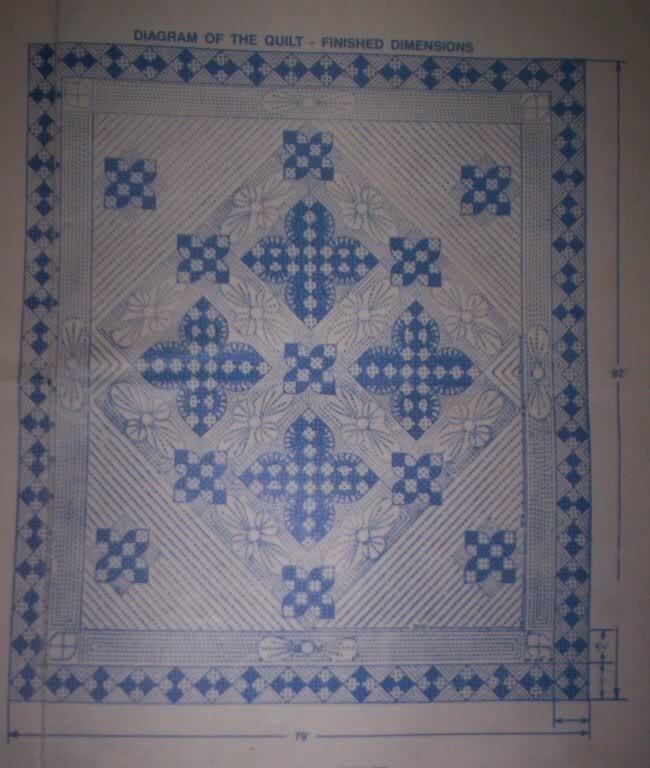 Technical Details: Quilt by the pattern. 1″ binding in dark print. I looked forever for a pair of fabrics for this one. 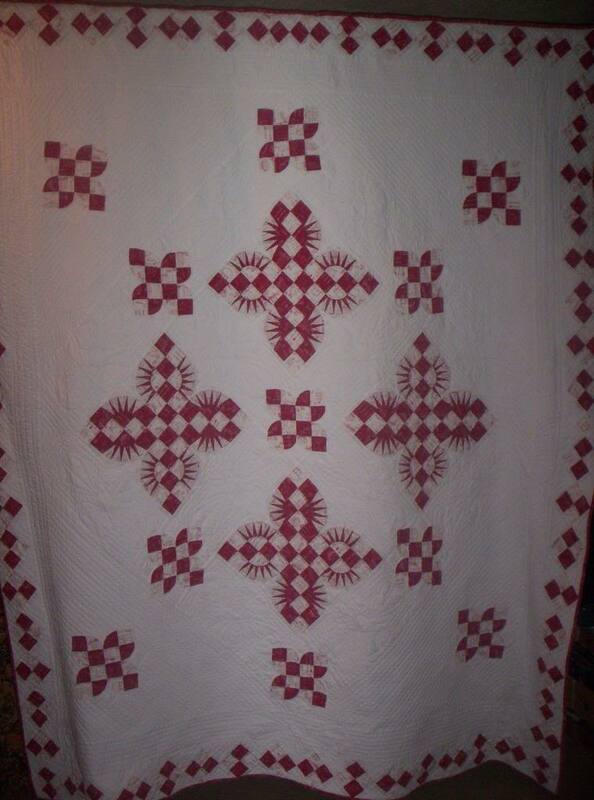 I wanted it all red and white with the dark and light pieces being mirror images of each other. 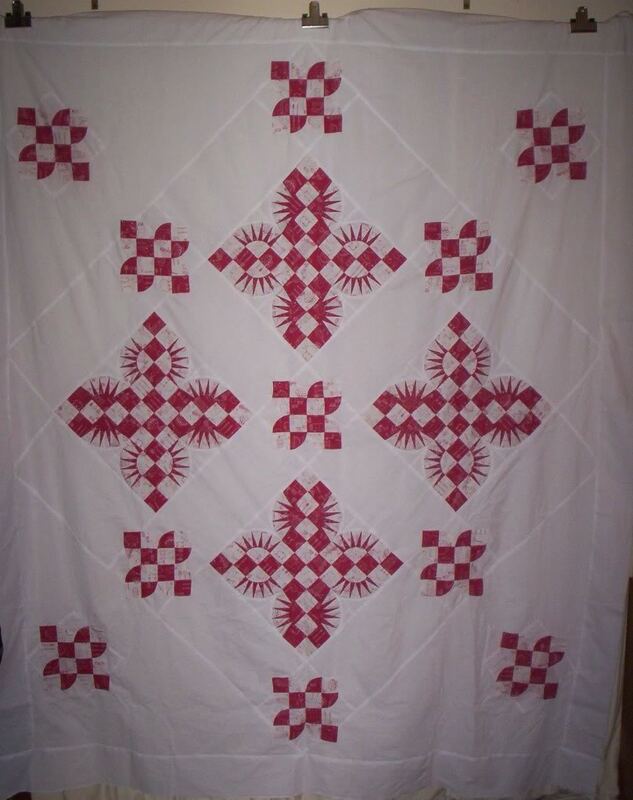 This is the first one that I have used a commercial pattern on… Stearnes pattern 101 “Oklahoma Dogwood”. That is possibly the reason I do not yet have a quotation for this one. This one I cut out just before Elizabeth’s back surgery and pieced on the beginning of it for the whole week we spent in the hospital. Even when it was still tiny random pieces, the cats couldn’t resist laying on it. 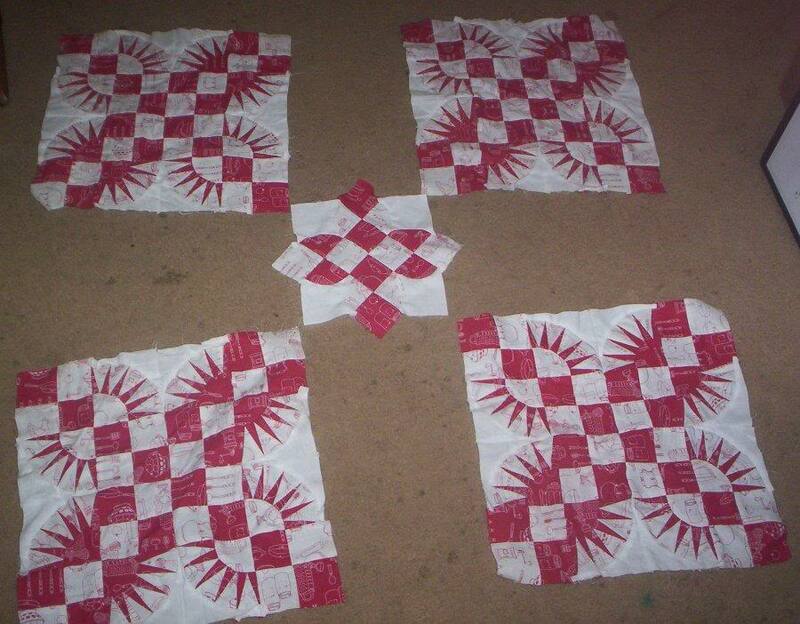 Finished piecing on Christmas Day 2004. 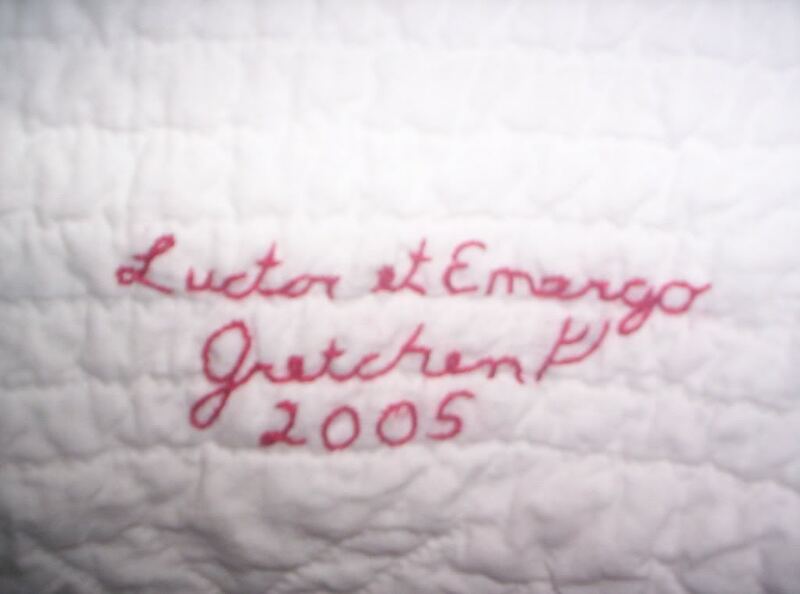 By the time I got it quilted, not only had this quilt earned it’s name but I did have a quote for it. 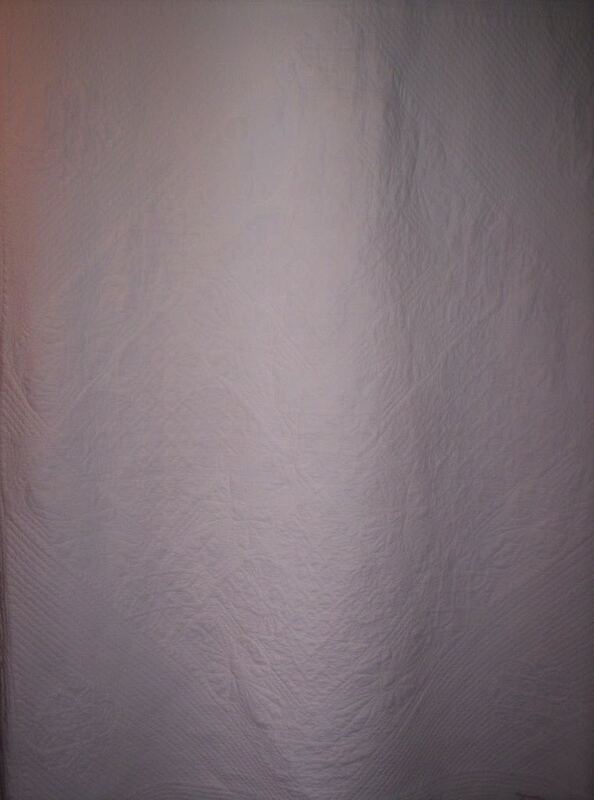 When I was almost finished, I ran out of backing and batting and had to add 2″ to both to finish the quilting. The borders were also difficult because of the bias on the outside… it kept stretching on me. But it got finished at last! And I swear I am never going to plan to ‘quilt in the ditch’ again. Unless it’s a fabulous pattern, of course.